Team One network relies heavily on our hosts to ensure each course is made available to all local agencies. While we have tremendous reach via our online presence and marketing practices we have learned that the majority of our participants learn about training opportunities through local marketing efforts. If there is anything we can do to help a host promote a course locally we’re here to help. Leverage networks. Our Host POCs know much more about the local area than we ever will. When POCs reach out to other agencies directly and share training flyers we find that registration rates improve. This is even more effective when our POC calls other agencies directly. Use Internal Communications Tools. 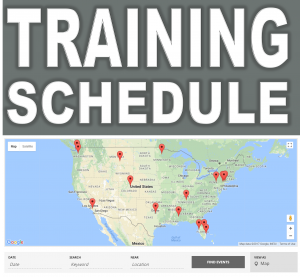 Most agencies have a standardized way of publicizing training opportunities to their officers. When these are used registrations increase. Use inter-departmental communications. This differs from state to state. Many agencies have the ability to share training opportunities over an internal state-wide network. We have found that when Host POCs take advantage of these systems registrations improve. Use social media. This works really well in some cases. Team One Network has a presence on Facebook, LinkedIn, Instagram, Twitter, and YouTube. When our host POCs use their personal reach to promote training registration rates improve. Stay up-to-date: We’ll send each host a weekly update that includes a current roster of participants. Our hosts typically know the influencers in local agencies and can use the roster to determine which agencies have enrolled personnel and which agencies they should promote the course to. 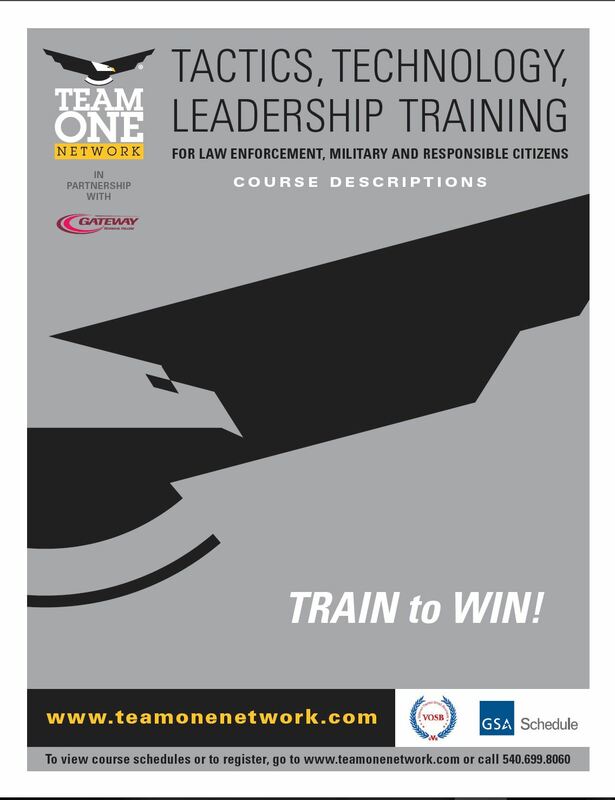 We try to market training in s many different ways as possible from large platforms such as www.PoliceTraining.net to guerrilla tactics such as posting in Facebook groups. PoliceTraining.net. This is a powerful training advertising platform that promotes courses in a wide array of websites. Constant Contact. Our schedule is mailed at least twice per-month to early 8,500 contacts throughout the world. But we also do localized announcements and interest based marketing to our mailing lists as well. Social Media. We promote our schedule about once per week on all of our social media platforms and routinely highlight courses and training opportunities in posts throughout the month. Word of mouth. Our instructor network consists of nearly 50 instructors all over the world. We send our schedule to our instructors and ask that they use the same best practices we’ve highlighted above. This Website. Our website has thousands of visits each month. We optimize for search engines to find courses more effectively and continuously work to improve this platform to make it more user friendly. A scheduled and conducted course is beneficial to everyone involved. Each participant gets world-class training from our team of highly skilled and experienced trainers. The host agency receives two free slots when a course has 16 or more paying participants. The Host POC gets a Streamlight PROTAC 1L-1AA flashlight when we have 16 or more participates. We are here to help. If you need help and ideas for promoting your course please reach out to our coordinator at info@teamonenetwork.com.